Cholesterol is a waxy, fat-like substance that's found in all the cells in the body. The liver makes cholesterol, and it is also in some foods, such as meat and dairy products. The body needs some cholesterol to work properly. But if your child or teen has high cholesterol (too much cholesterol in the blood), he or she has a higher risk of coronary artery disease and other heart diseases. 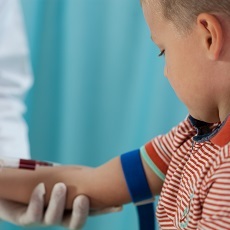 What causes high cholesterol in children and teens? Some diseases, such as diabetes, kidney disease, and certain thyroid diseases, can also cause high cholesterol in children and teens. What are the symptoms of high cholesterol in children and teens? There are usually no signs or symptoms that your child or teen has high cholesterol. How do I know if my child or teen has high cholesterol? What are the treatments for high cholesterol in children and teens? Healthy eating. A diet to lower cholesterol includes limiting foods that are high in saturated fat, sugar, and trans fat. It is also important to eat plenty of fresh fruits, vegetables, and whole grains. If everyone in the family makes these changes, it will be easier for your child or teen to stick to them. It is also an opportunity to improve your health, and the health of the rest of your family. Article: Improving the detection of familial hypercholesterolaemia.